Hello everyone~ Recently, I got an iPhone 6s as an early birthday gift and, along with it, I picked out some very cute cases. I consider phone cases very important, and I am not talking about how they protect my phone. There is something very special about phone cases, which may sound weird, but the design, and just the case itself, can reveal something unique about a person's personality. I bought this as a temporary case until the case I really wanted arrived. 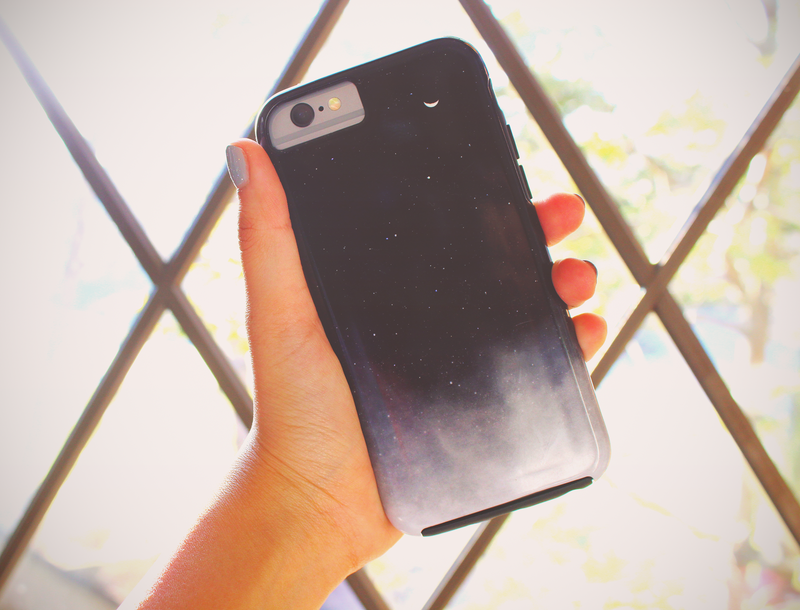 I have to say that I ADORE this case. 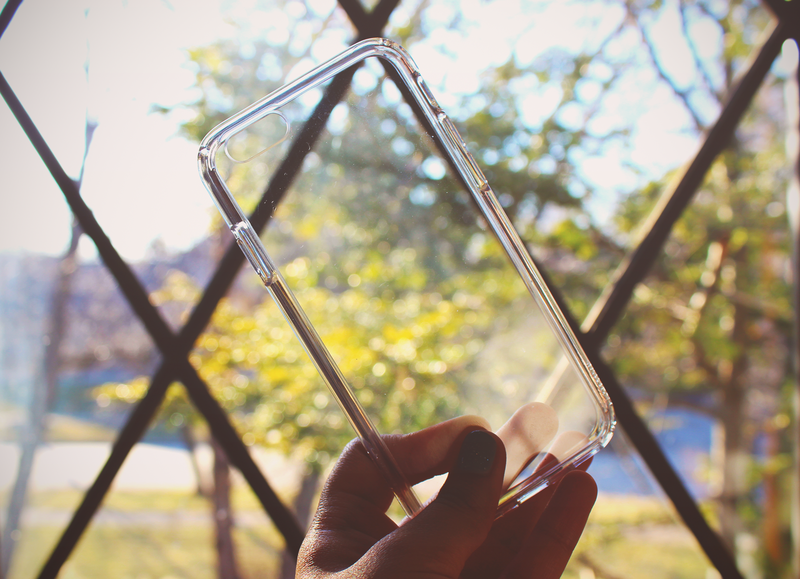 What makes it really unique is that it has a thick bumper to absorb shock when the phone falls, but the hind of the case is crystal clear, making it easy to see the back of the phone.So if you are into that no-case, but I don't want to break my phone if I drop it aesthetic, then I highly suggest checking this case out on Amazon. It has always been a goal of mine to purchase something from Society6. Many of you may ask,"what is so special about Society6?" Well, Society6's merchandise is designed by independent artists. The products are on the more expensive side, but that ensures high quality and the artist gets an honest pay. If you sign up for their email newsletter, you can get a 10% off discount code. However, when I bought it, the site was having a 15% off code and free shipping. I could not use both codes, so I stuck with the 15% off with the free shipping. I bought this case by the artist, Va103. 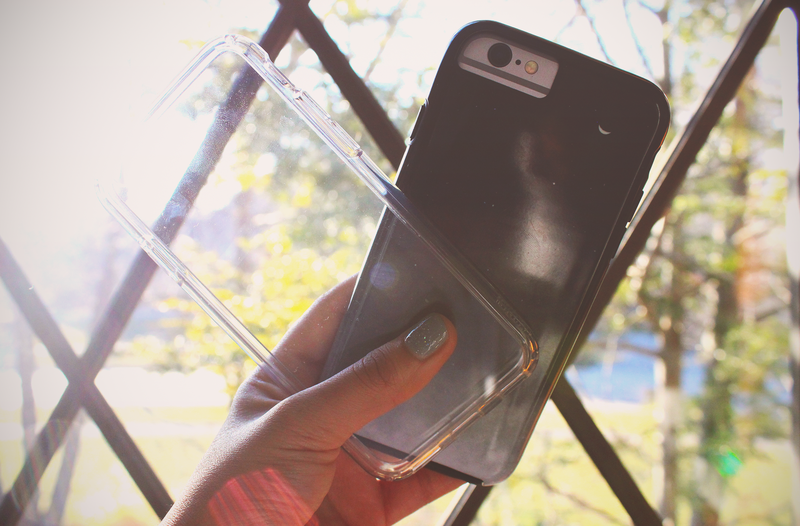 It is the power case, which comes with a hard rubber bumper, and it was $38.00. The design is stunning! It really called out to me when I saw it. It is basically a black-to-gray gradient with small stars and a tiny crescent moon. "In the name of the moon, I'll punish you." Cute, right? I am having trouble doing my two posts a week...>.< However, in three months I will be graduating high school! Then I will have a lot more time and I will start my YouTube again ^_^ Hahaha, I can't wait to tell you what college I am going to because I got into their most highly regarded program. Well that is it for now, see you on Friday.